is there “science” in Christian Science? Throughout history, Religion has had a problem with testing and questioning. One of the (many) reasons the Catholic Church hated Martin Luther is because he translated the Bible into German so the common man could read it without the Priest as a middle man. The Catholic Church also disliked Galileo because he challenged their views on heliocentricism. It has been many years since Galileo’s trials in the 1600s. There has been a Protestant Reformation, people can freely read the Bible as they see fit. Science and technology has come quite a long way, and in 2013 there are Christian holdouts who teach man walked with dinosaurs, women should not go to college, and who take issue with the Big Bang Theory being discussed in a children’s book about space. Of course the people making the statements that people walked with dinosaurs find “scientific” evidence to back up their beliefs, and Christian Science goes out of the way to give off an intellectual feel – the Bible and Science & Health are referred to as “our textbooks” and to be fair, they are books of text, but so is a romance novel. I can’t write with any level of authority on Creationism as my niche religion of Christian Science never really talked about the material world beyond the notion that it was all part of the Adam Dream, and one day we would “wake up” to find our “true spiritual selves” one with an omniscient, omnipotent, omnipresent God. 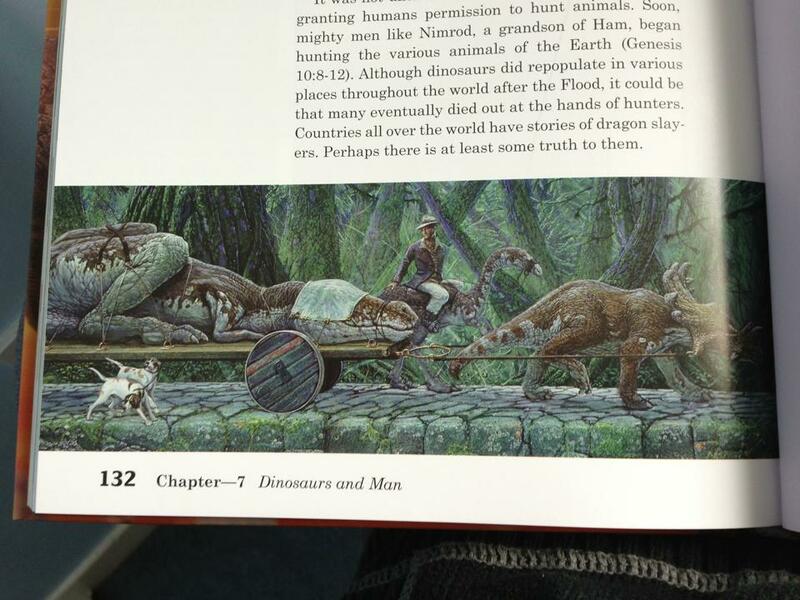 The Big Bang, dinosaurs and evolution were all part of this Adam Dream, as is/was all of the material world. This was not a helpful background to be coming from in hard science classes. Christian Science claims to be both Christian and Scientific, it is neither. 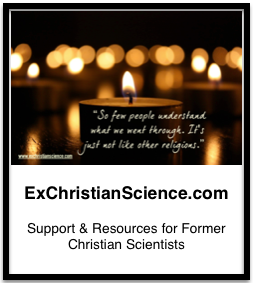 I’m not going to get into a breakdown of why it is not Christian (the reasoning varies depending on which variation of “Christian” you pick), but I will touch on why it is not Scientific (the lite version). Fixed ideas – yes, there are many of these. The Bible and Science & Health are the only “textbooks” allowed (along with Authorized Church Lit of course). The Bible comes first in importance, as it inspired Science & Health. Ms. Eddy’s works, and the Manual are fixed features, not to be updated, or modified in anyway. No peer review – there may be some. I think CS Nurses do go through some sort of review process at some point, but unless you’re in the system it is all very vague. There is a lot of talk about who is “the most spiritual” CS Teacher, “best” CS Practitioner, or “most inspiring” CS Lecturer but that is all gossip and human opinion, not actual scientific fact. Selects only favorable discoveries – yep. The Journal, Sentinel and Herald only publish CS-positive testimonies, survivor-ship bias anyone? Non-repeatable results – The results could be repeated if not for malicious animal magnetism holding people back. Claims widespread usefulness – it works for everything. “Ball park” measurement – sometimes a doctor happens to be on hand to verify that a healing took place, other times you just have the person’s word for it… does it always work? That really depends on who you ask. 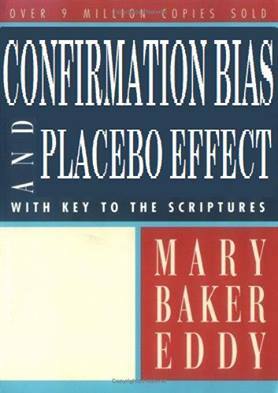 Christian Science is know for it’s confirmation bias, survivor-ship bias, and other biases. So why does Christian Science call itself a “science”? Honestly, I’m still wondering about that myself. If anyone has any ideas, I’d love to hear them! My current idea is that in the 1800s some of the notions about human physiology espoused by Ms. Eddy in Science & Health were not too far off from some of the notions being espoused by scientists of the day. Cholera was thought be caused by cucumbers and other “cold foods,” and praying about a problem was often safer than seeing a doctor about it. Logically, during the short time that Christian Science probably worked as well as the medicine-of-the-day, so it must have been scientific. Right? 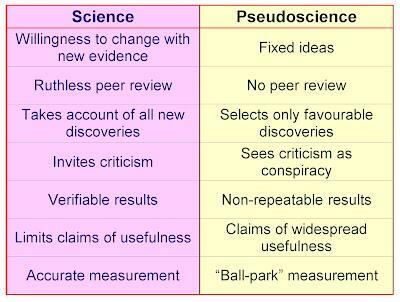 I think Christian Science calls itself a “science” because it uses big words and is best read with a dictionary. Really big words make people feel smart, not everyone can work their way through Science and Health, or the weekly Bible Lesson – seriously, they talk about the Universe, including man, evolving by atomic force, that sounds very scientific. In Christian Science there is no system of prayers to be dutifully recited to receive results, it is all about praying and knowing – not just having blind faith, and if you know enough you will be healed – this seems counter-intuitive, Jesus talks about how faith has healed people, but MBE isn’t Jesus. You also have to know the “right” things, and you have to be open and receptive to God’s infinite Love. I’ve never really gotten the hang of it, nor have I ever seen it consistently demonstrated with positive results. Perhaps it is all the malicious animal magnetism getting in the way. Why was Mrs. Eddy interested in promoting her finding as a scientific discovery? Because she caught a glimpse of the continuity of a Principle behind creation. It was a shift away from just having faith. The attempt to bring science into a religion is what attracted me to Christian Science during high school. During high school ‘somehow,’ I was exposed to some Christian Scientists who were liberally minded. Within this group, some Christian Scientist’s occupations were in the Sciences. The first church I attended Sunday School had a practitioner who formerly was an M.D. and a man who was a psychiatrist. Had it not been for these unusual Christian Scientists, perhaps I would have had no interest in this off the mainline religion. There were a few of Mrs. Eddy’s students who also experimented with Christian Science and healing situations. You do not hear about them in the history of the church. Why? It’s easy to say that a preference for invisible faith over testing took over the church’s attitude. 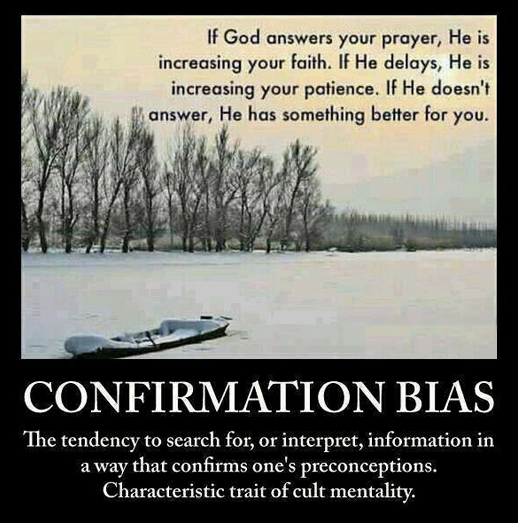 The confirmation bias evolved, which is to look for only outcomes that backup what is believed. (It’s a huge topic here.) One example, the periodicals did not carry some records of where healing did not take place to go alongside the successes of healing. There is too much to say in one post. I would recommend (self-serving admittedly) reading my book, “A Journey into Prayer: Pioneers of prayer in the Laboratory: Agents of Science or Satan?” The book includes some of the events that resulted in Christian Science opting to evolve into a full religion rather than maintaining its place among religions as a unique balancing act between what appeared as conflicts between the ‘quality’ given by Christianity/religion and the ‘quantity’ given by science/exploration. I would like to go over the chart above. “Willingness to change with new evidence…. Take account of all new discoveries.” This is definitely a problem for Christian Science. It is difficult for most conservative Christians and other religions. Gee, look at Islam! I was extremely lucky that I was exposed to “liberally minded” Christian Scientists some of whom worked in the sciences. I don’t precisely know what Mrs. Eddy means, but my take is that when she said (paraphrasing) “Christian Scientists drench their clothes in conservatism,” she was talking about an unwillingness to be flexible. “Ruthless peer-review.” In Mrs. Eddy’s day, it did match the peer-review. Testimonials were the peer-review. Times have changed and science has marched forward. Christian Science stayed in its century of discovery pretty much. “Every criticism is a conspiracy.” Yes, I feel like that is true sometimes. I can give story after story of skeptics who have alternate explanations for every paranormal experience I have experienced or have related of folks I know. Criticism by skeptics may be God’s sense of humor coming into play. Perhaps skeptics are a necessary ingredient of scientific claims on any level. For example, and I have no idea how they get paid a salary. There are a few scientists still trying to discredit Einstein’s theories. Yes. When it comes to constructive “criticism” within Christian Science, you get nowhere (with the exception of a few liberals. However, if criticism comes from without, then listening to the criticism is potentially possible by Christian Scientists. “Without” is a funny thing. I will tell people I have a great band, hire me. They don’t listen. Someone they never met before tells them I have a great band. I get hired. Ask most musicians, and they will tell you that they are the last ones to be asked to play at a relative’s wedding! “Claims of widespread usefulness” and effectiveness. Oh, I agree. Too many promises made gets anyone into trouble from promoting virtually any product. Christian Science in a sense is a product though the term is not liked. “Precise measurement….Ballpark measurement.” The scientific method is evolving. New ways to measure that are ballpark are being tried and some accepted. In quantum physics, in some instances, this has to happen. The mathematics says one thing, and the measurements of what is happening sometimes doesn’t match what is happening “but” it works anyway. It’s oddball ballpark sometimes. Someone gets a healing against all odds. How do you measure that? All a skeptic can do is write-up alternative way it happened. Huge arrays of accumulated results from not so tightly controlled experiments as a skeptic would want sometimes takes the results to the “beyond chance” category. That should pop some eyes open, but the bias comes back “Where are the tight and accurate measurements?” And again, “It doesn’t repeat often enough.” Can’t a skeptic enjoy an epiphany? I don’t know.